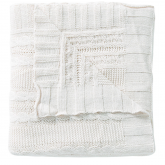 We love throw blankets, especially during this time of year when the weather starts to finally cool down. The throw blanket should be a common item in every home as it can act as part of the décor while also keeping guests toasty. 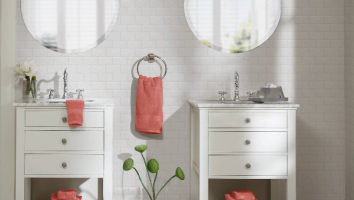 Target offers a wide variety of styles, from electric blankets and fleece blankets, to wool blankets and even afghan blankets. Here are some that we love! 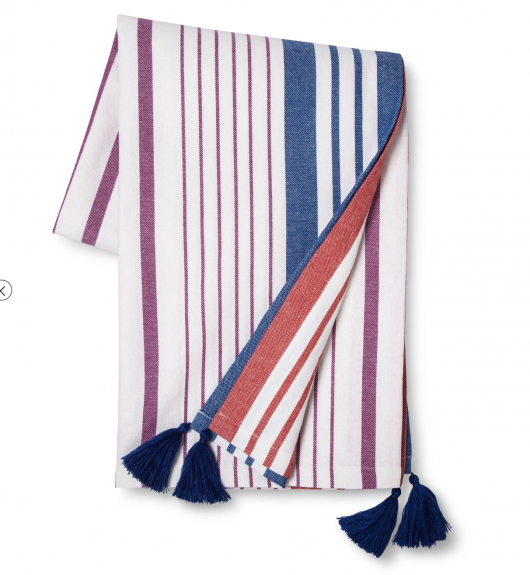 The Textured Stripe Throw Blanket from Threshold is so beautiful you can display it on the sofa or chair, and so comfy you can wrap yourself up in it. 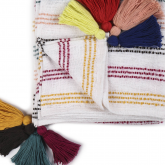 This colorful tassel blanket is a perfect light throw for snuggling under while using devices, watching TV or reading to kids. 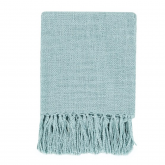 Serenity comes in the form of the Threshold Yarn Dyed Stripe Throw in Turquoise. 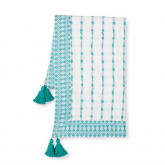 This turquoise and white throw blanket has a simple, calming design with decorative border and a fanciful touch of fringe. Toss the Threshold Jacquard Woven Throw in Black/White over your office chair for a pop of style and quick measure of warmth. 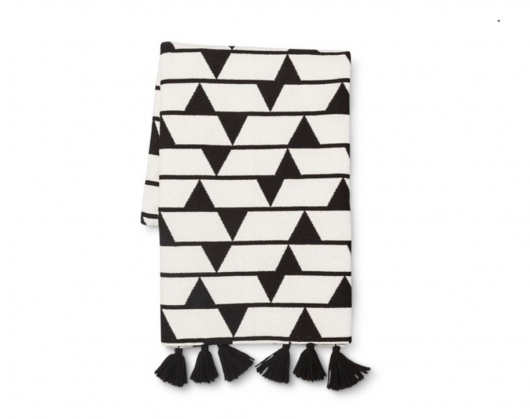 This throw blanket has a graphic pattern of lines and triangles softened by the dangling tassels. The Hexagons Throw Blanket from Modern by Dwell Magazine adds visual interest without sacrificing comfort. 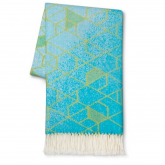 Featuring a hexagon pattern with an ombré effect, this modern throw blanket is reversible with different color on each side. 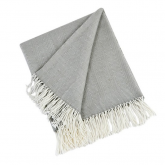 Cuddle up to your new sofa blanket with the Herringbone Throw. 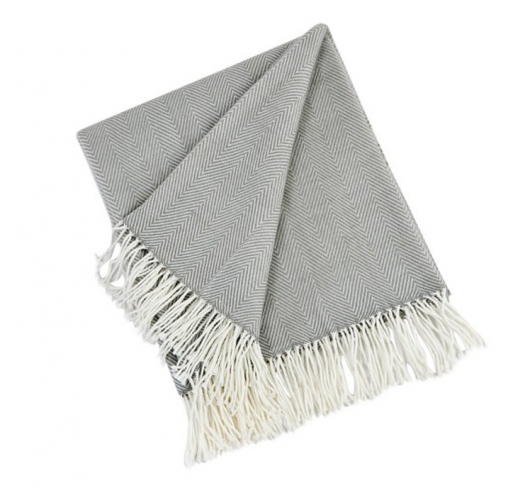 This throw blanket has elegant style with the herringbone design and a pretty fringe. 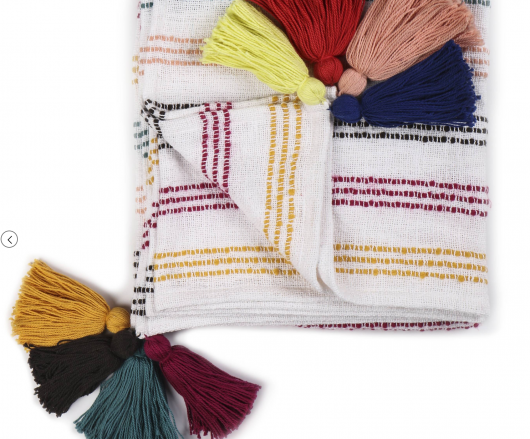 Reminiscent of hand-loomed fabrics found in local Indian markets, John Robshaw’s Mansib Throw will cheer up any room. 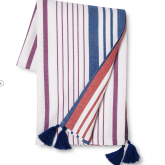 Crafted from soft cotton-quality fabric, these playful blankets feature bold stripes and tasseled corners. 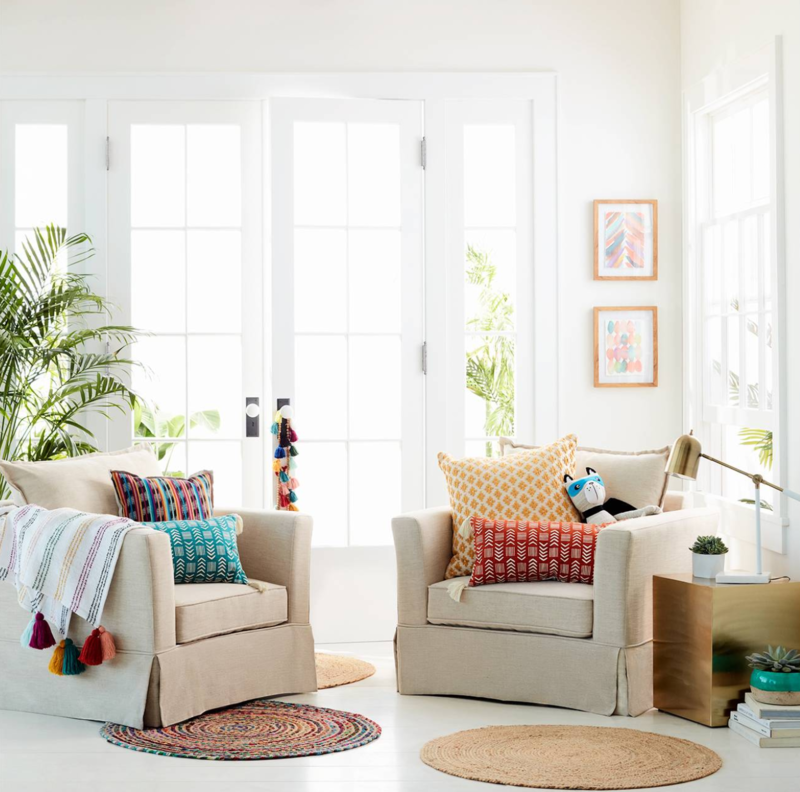 Depending on how your throw lands, different colored ends come into view, allowing you to play up your color mood, and change your decor with ease. Lightweight and supple, you’ll want one on every bed and sofa. 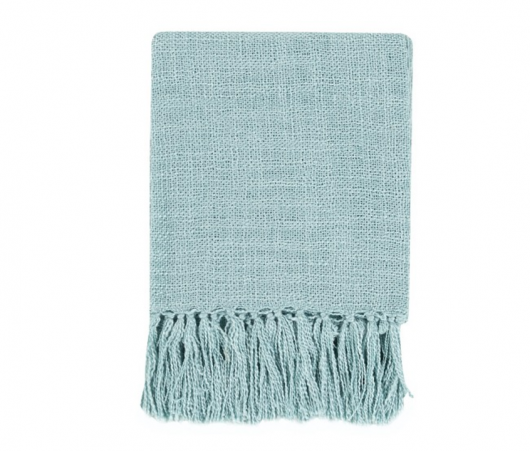 Cuddle up when there's a chill in the air with the Dublin Cable Knit Throw Blanket. 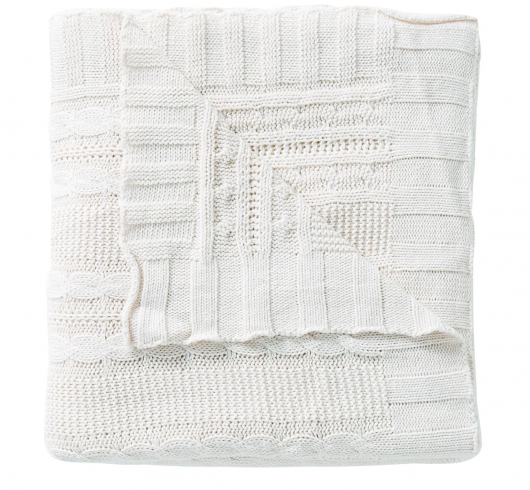 This pretty cable knit blanket has the visual appeal you want for displaying in any room in the house, but it's the snuggly warmth of this blanket that make it your irresistible favorite. 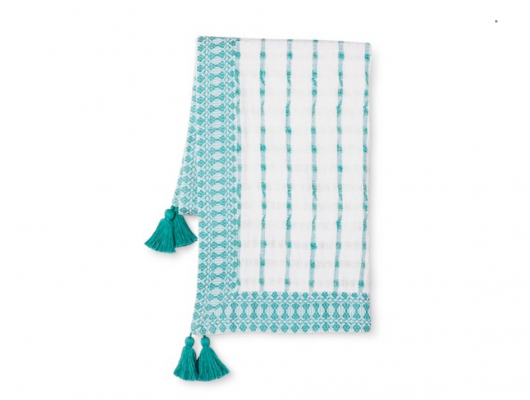 Cozy comfort with a blast of style are hallmarks of the pretty Surya Madelyn Throw Blanket - (59" x 51"). For any room in the house or just for your convenience, this throw blanket comes in your favorite colors and a delightful, soft weave. 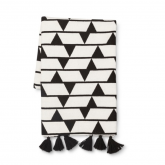 Whether you're going to store this blanket with others until a chill hits or drape it over a favorite chair for regular use; you'll simply love everything about it. The kids will be heading back to school soon and we are ready to get organized. 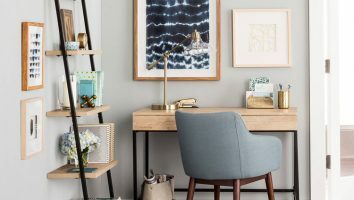 Make sure your home office is in great shape with a trip to Target. 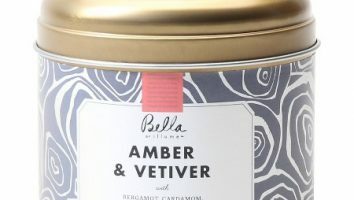 Nate Berkus office accessories neverRead More. 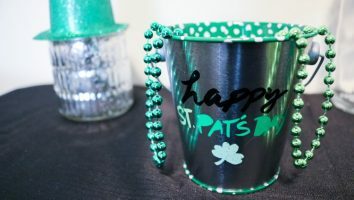 St. Patrick’s Day is right around the corner, and Target has everything you need to turn your home into a place a Leprechaun could be proud to call home. Whenever we plan to decorate for theRead More. Happy Easter weekend! 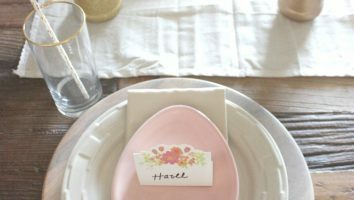 One of my favorite things about the holidays is decorating my home and I especially have always loved decorating my dinner table! 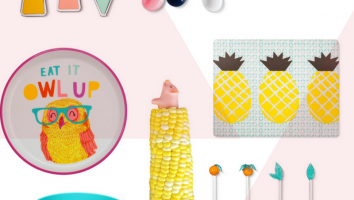 I enjoy the process of collecting items over time, shoppingRead More.